I made this layout for my local scrapbook store quite some time ago, but never shared it here. My Grandma is the one that really started my love for playing with paper so many years ago. I added one of her old measuring tapes, and pieces of a pattern that I had saved. This is beautiful! I love that you added your grandmothers measuring tape and pattern pieces. Such a heartfelt layout. This is cool. The personal details are awesome. Love it! The details are fab! Beautiful! Love how you added one of HER measuring tapes! I love how you added her tape measure to this, so perfect. 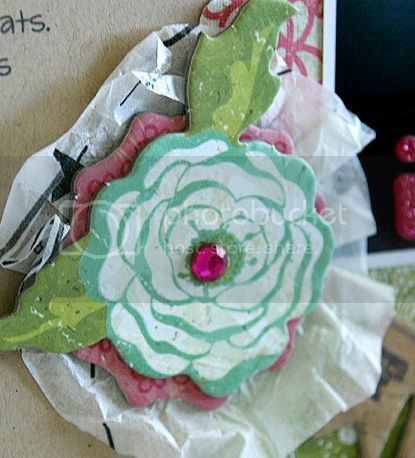 What a wonderful memory and so cool to have mementos to use on her layout! 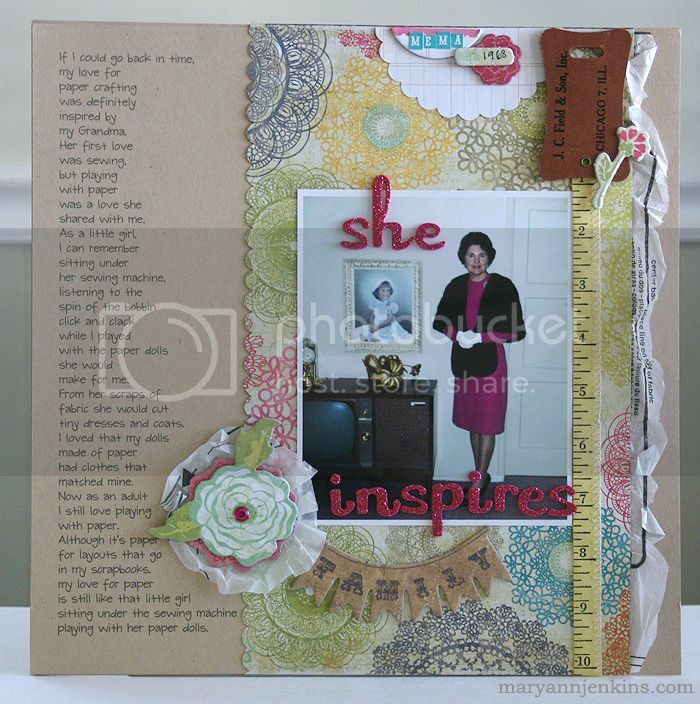 this is what scrapbooking is all about - perserving those wonderful memories - and what a stunning layout. The combination is just right for that great photo. This is such a pretty layout! Love what you did with that border! Beautiful page Mary Ann!! Love the long journaling and this is one of my favorite CP lines!! Gorgeous page, Mary Ann. I especially love your story! This is a gorgeous layout, I love that you used things that belonged to her. You did a beautiful job honoring her. This is SO cool! I love how you added in the momentos! SO well done! Awww what a special tribute!!! Great layout - it's beautiful! What a beautiful layout! I love the pieces of patter, measuring tape and tag - lovely touches!